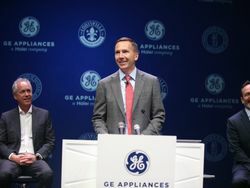 LOUISVILLE, Ky.—March 1, 2018—GE Appliances has reached an agreement with award-winning Chesapeake Homes to supply washers, dryers, refrigerators, ranges and other leading kitchen and home products for 1,100 single-family residences to be built in Myrtle Beach, S.C., in the coming years. Chesapeake operates in Coastal Virginia and the Triangle region of Raleigh, N.C., as well as Myrtle Beach, and offers value-packed houses and townhouses to suit every lifestyle. And now with this partnership, Chesapeake will bring Myrtle Beach homebuyers a choice of entry level to luxury-end GE-brand appliances to complement any modern style. 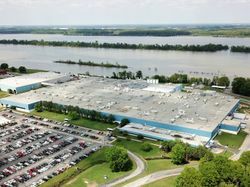 In planning its latest community build, Chesapeake wanted assurances that amenities would be easy to order, fast to arrive and simple to service, and found its answer in GE Appliances. 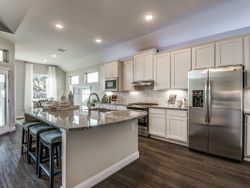 “By connecting Chesapeake to GE CustomerNet, our online hub for builders, we made it simple for them to check availability, select packages for a particular home, and get those products on their way, all in minutes,” said Denny Jordan, who directs builder sales for GE Appliances in the coastal Carolinas. The Chesapeake team also appreciated how GE Appliances controls its own local deliveries and is the only manufacturer with its own team of factory-qualified repair professionals. Construction of Chesapeake’s new Bridgewater community in Myrtle Beach will soon begin, putting homeowners close to beautiful beaches, extensive shopping, multiple golf courses, and much more. Jordan added that with GE Appliances by its side, Chesapeake is now confident in the knowledge that schedules will run smoothly, and that service calls will be handled efficiently and typically in a single visit. 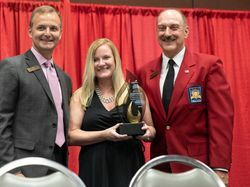 “We take care of the builder’s customer, the homeowner, and that’s why Chesapeake chose us to furnish these beautiful new homes in Myrtle Beach,” he said. GE Appliances is proud to offer professional project support for busy homebuilders. Discover why partnering has never been easier.